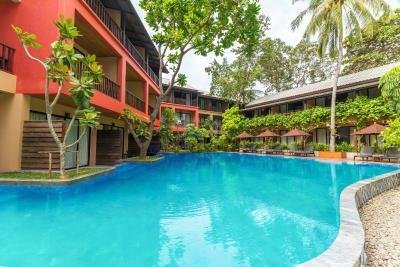 Lock in a great price for Buri Rasa Koh Phangan – rated 9.4 by recent guests! The room is clean, minibar prices are fair. Location of the room was good, right at the beach. Rooms - very clean and good eqweped. Breakfast - very reach, with multiple choices Stuff - friendly and helpfull Near the hotel there are sone very good local restaurants. Very clean. Staff. Especially Patzy!! Who helped me and my wife randomly meeting in the ferry when my wife got the stomach ache. Nice restaurants around. Very good size of small town. Free kayaks. Very comfortable room, great location. Loved the peaceful atmosphere, the beach, the great level of service. Great breakfast. I really liked the atmosphere created by nature: the sea, rocks, shore, palm trees - everything is organically combined, it is nice to have a walk along the beach, a beautiful view from the restaurant, quality and delicious food, a place suitable for family holidays with children. Perfect. Everything. From beginning to the end. Amazing staff. It was an excellent stay in your hotel, the stuff were very helpfull , allway try to help, very pleasant, in every request they responded very kindly, with smile. 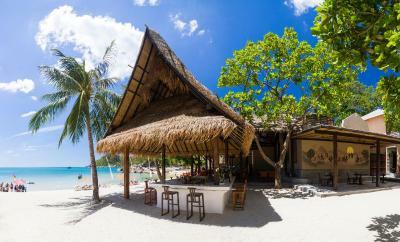 The resort is magnificent including the very quiet and relaxing beach. 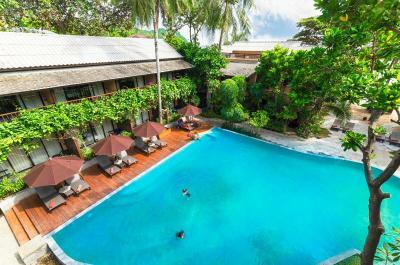 I will sourly recommend my family and friends to stay in Buri Rasa Ko phangan. Great staff, great location, comfortable room and bed. Very helpful and attentive to every need. 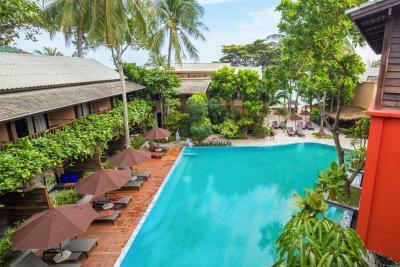 Buri Rasa Koh Phangan This rating is a reflection of how the property compares to the industry standard when it comes to price, facilities and services available. It's based on a self-evaluation by the property. Use this rating to help choose your stay! 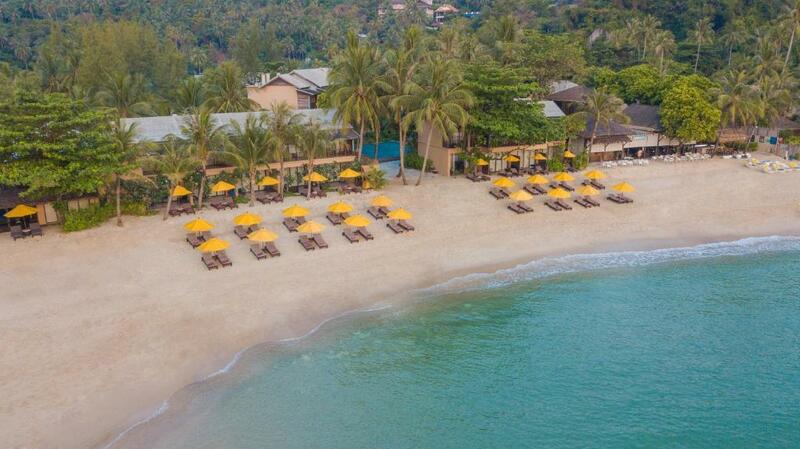 Located on Thong Nai Pan Noi Beach, Buri Rasa offers luxurious beachfront accommodations with a private balcony. This 4-star property features an outdoor pool, restaurant and free WiFi. 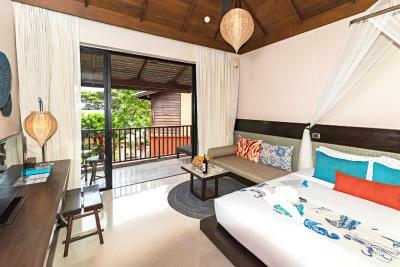 Modern interiors and floor-to-ceiling windows feature throughout the stylish rooms at Buri Rasa Koh Phangan. All well-appointed nonsmoking rooms have a flat-screen cable TV and sofa seating area. Recreational options include going fishing, diving, or relaxing with a traditional body massage. Car rental services and ticketing arrangements can be made at the tour desk. 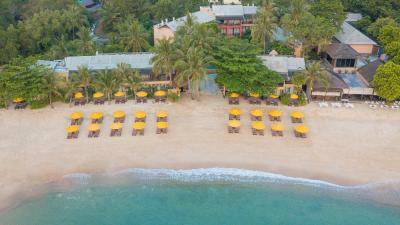 The hotel also provides pick-up service from Samui and Phangan with additional charges. 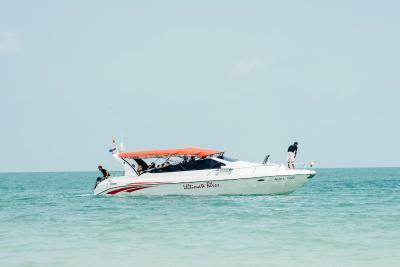 It is a 40-minute speedboat ride from Samui. 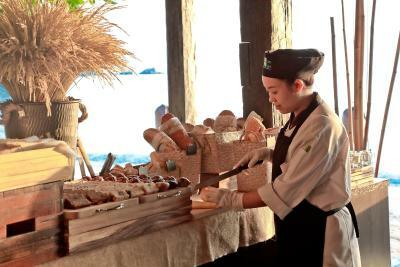 Guests can enjoy dining by the beach at The Beach Club @ Buri Rasa Koh Phangan which offers a variety of Thai, Seafood and European cuisines. Koh Phangan Buri Rasa is a 15-minute drive from the Kor Mar diving spot and a 30-minute speedboat ride from Samui. Tong Sala Pier is a 45-minute drive away. 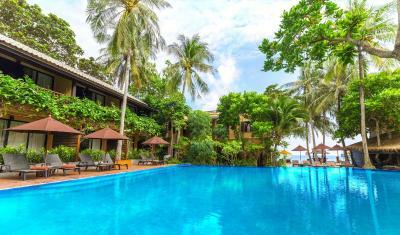 This property is also rated for the best value in Thong Nai Pan Noi! Guests are getting more for their money when compared to other properties in this city. 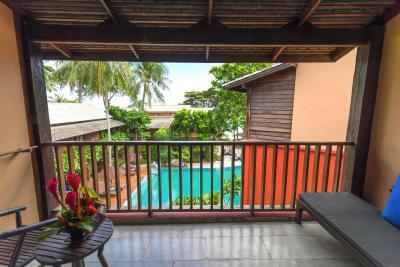 When would you like to stay at Buri Rasa Koh Phangan? Offering indoor and outdoor living space with a terrace overlooking a small cobble street, this spacious air-conditioned room features an private bathroom. Select rooms offer garden/sea views. Offering a terrace overlooking the tropical landscape and swimming pool, this room consists of both indoor and outdoor living space. Room amenities include a flat-screen cable TV, an electric kettle, a refrigerator and a safety deposit box. Complete with a balcony and tile floorings, this bright, cozy room has a flat-screen cable TV, an electric kettle and a safety deposit box. Free toiletries are also included in this unit. Boasting unobstructed views of the glittering sea and the sandy beach, this cozy double room consists of with both indoor and outdoor seating areas, a flat-screen cable TV along with a DVD player, and an private bathroom with a shower and free toiletries. Offering both indoor and outdoor living space, the room features a terrace with unobstructed views of the beach and ocean. The beachfront room offers both indoor and outdoor living space and features direct beach access and views of the sea. 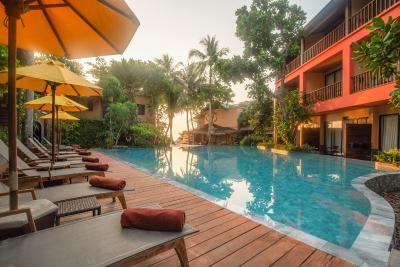 Offering direct access to the pool, the room offers both indoor and outdoor living areas and is fitted with a ceiling fan, a flat-screen LCD TV, a DVD player and a private bathroom with a rain shower. Daily housekeeping and turn-down services are also provided. Offering a terrace overlooking the tropical landscape and swimming pool, this room consists of both indoor and outdoor living space. A flat-screen cable TV, an electric kettle, a refrigerator and a safe deposit box are provided in this room. 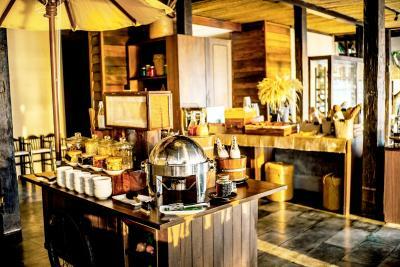 This room offers complimentary round-trip shared speedboat transfer from Koh Samui ( Buri Rasa Lounge) to Buri Rasa Village Phangan for 2 people. 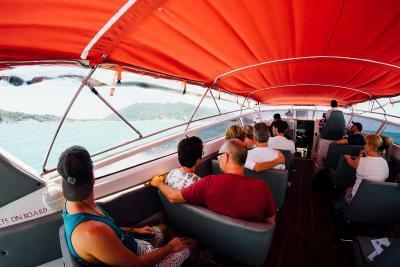 - Koh Samui to Phangan : 12:30 and 17:00 hrs. - Phangan to Koh Samui : 09:00 and 14:00 hrs. 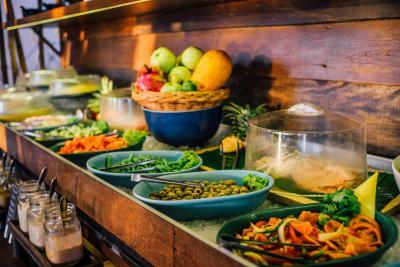 House Rules Buri Rasa Koh Phangan takes special requests – add in the next step! Any additional children or adults are charged THB 1500 per night for extra beds. Buri Rasa Koh Phangan accepts these cards and reserves the right to temporarily hold an amount prior to arrival. 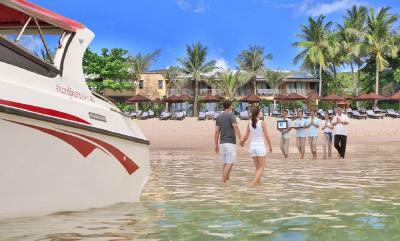 The property provides a scheduled speedboat transfer between Koh Samui and Koh Phangan at an additional charge. 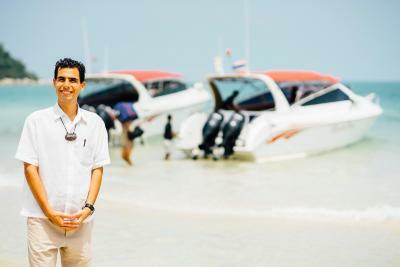 Guests can be picked up from Samui Airport or nearby hotels by car and transferred to the pier at Bang Rak. From there, a speedboat takes guests directly to the property. 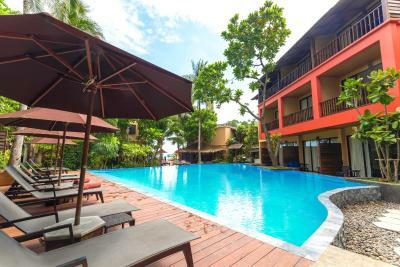 - Koh Samui (Bang Rak) to resort: 12:30 and 17:00 hrs. 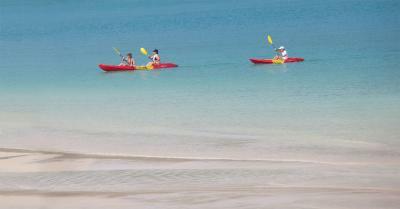 - Resort to Koh Samui (Bang Rak): 09:00 and 14:00 hrs. We had an excellent stay at this small resort. The staff truly go the extra mile to make your stay amazing! Thanks Tom for all the care at breakfast (also amazing too)! After 4 nights in Panviman hotel (near Buri) - this is not competition, and I came to Buri with high standards from Panviman that they weren't close to reach.. The hotel is nice, staff is nice and some of them trying to help. The others don't really want to help and it very noticable. The village outside is very small and offers limited products and goods. I came alone just for rest but it was extremely quiet and boring. Maybe 1 bar outside that closed at 22. At 22 - 23 the beach is dark and you're alone! Maybe suitable for family/couple. The prices of taxi is very high - 700 baht for 30 min drive to haadrin. The hotel offers the same drive in 1000 baht. Disappointing Breakfast was ok. Limited dishes only..
Best Hotel Ever! I never had such a wonderful staff that greet you in your own language(myself Hebrew and for my wife in German). The Chef of the hotel restaurant saw me carrying my suitcase and took it from me just to help. The beach is amazing the most beautiful in Kho-Panghan (we went to check out all of them). 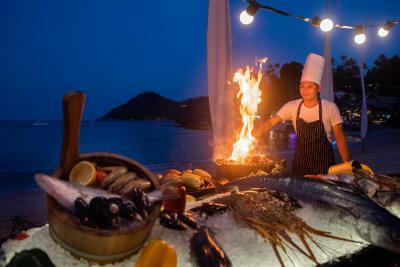 The spa is amazing and the restaurant offer good food and entertainment every evening. I can not think of how this place could be any better. It is also close to the village streets which is quite comfortable. Gym - very poor eqwepment They could do much better with a little investment. Coffe isnt good enough, because its machine coffe. Everything!!! The staff were incredible, so helpful and you really don't need to lift a finger from the moment they pick you up, until the moment they drop you at your next destination. 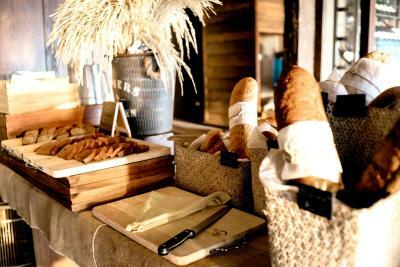 The breakfast was delicious and so was the food in the restaurant!! Thank you again for everything; we will be back!!! The price / quality balance is out of balance! 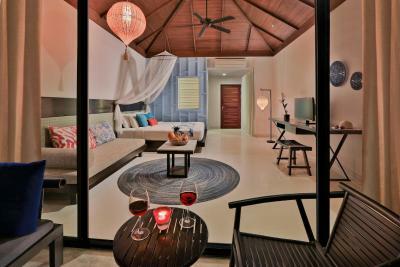 I had a beach room which was basic furnitured and I had simular rooms in Thailand for less than half of this price. Staff service is way too overwelming, all the time 10 employees walking by and asking questions is not necessary and blows away relaxed holiday vibes. I will not coming back to this resort cause of the privacy and quality. The staff were exceptional and the place was lovely. Like a secret garden with full of beautiful plants and flowers, very clean and comfortable room and the staff is extremly kind. Very nice place, helpfoul staff, the breackast was awesome. Room was clean and comfortable. Fitness room closes at 1800. Maybe ask the staff to open for you. They'll do anything for you. Stand up paddle broken. Please fix.